Bark Verpakkingen joins the Interclean exhibition - Bark Innovations B.V.
An absolute eye-catcher is the innovative bag-in-box system called Cheertainer®. In terms of concept and application possibilities, this system is the only real alternative for the traditional jerrycan. It is not a copy of the existing bag-in-box packaging, as we have known it for some time, but it is unique in its kind, mainly because this concept has a UN approval (in connection with legislation on the transport of hazardous substances). With respect to sustainability and CO² reduction, huge profits can be achieved. The amount of plastic waste can be reduced by more than 80% compared to the standard rigid jerrycan. Furthermore, attention will be paid to the Bark Dosing System, a system in which the desired dosage can already be determined in the bottle (without having to pre-open the bottle). This is an innovative solution for concentrates and is now widely used within the cleaning industry. The third product group that will be presented is the so-called stand-up pouches. Sustainability in the broadest sense of the word is also a hot topic in the cleaning industry. Replacing rigid packaging by flexible packaging is becoming increasingly popular. Finally, Bark will present its range of trigger sprayers in cooperation with Afa Dispensing Group. 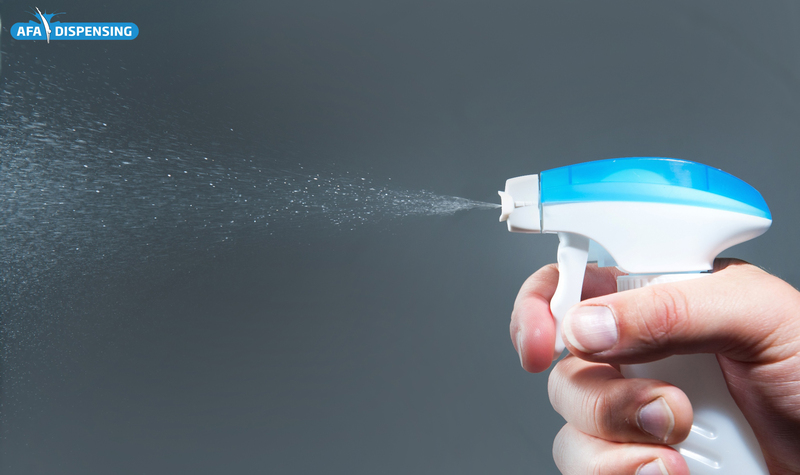 Afa is known as an innovative market leader in the field of dispensing concepts, the spraying possibilities of which are now an integral part of the cleaning industry. We look forward to your visit and will be pleased to welcome you in Hall 8, stand 08.312.